Welcome to this Truly Rich Club review blog site. This blog is all about the TrulyRichClub, stock market Philippines plus more of brother Bo Sanchez' events, powertalks, seminars, works and businesses, books and other inspiring literature. Today, allow me to share you the 21 reasons and benefits why I subscribed on Bo Sanchez mentoring club and why you should too. Existing members, can you tell us your personal reasons why you decided to join the truly rich club too? You can tell us your experience about it? You can do that by leaving your personal comment below. Any type of comments will be accepted. If you have nice to share experiences about it, then let us know. Thanks in advance. Soon-to-be members, you can also ask any question you have in mind about the Truly Rich Club. Just type it in the comment box and I will try so answer it the best way I can. Trust me on this. Thanks in advance too.. I am a member of the Truly Rich Club since 2009 and I really love being a member. I learned a lot and continue learning from it. In life, we need to change and adapt. Change is everywhere, so we need to change and improve, at least for the better. I read this quote somewhere, "We need to learn, relearn and unlearn" ...then repeat the process. How about you, where do you get the resources to improve your talent, your skills or even your business? Where do your get your motivation and inspiration in life, in all areas of your life? Enough about it, let's go on my subject. Here are my 21 personal reasons and benefits why I subscribed to the TRC and why you should too. I joined because I trust Bo Sanchez. To me, he doesn't just practice what he preach, he actually preach what he practice. I meet Bo several times already. He is a good speaker, a best-selling author, a great mentor, business innovator and successful leader. I also admire the humility of this man. I will repeat... I joined because I trust the founder, brother Bo Sanchez. I want to build a good foundation regarding my financial mindset. I don’t know about you but if you are reading this and you’re in a situation wherein money or personal finance is not an issue to you. Good for you, congrats, share ka naman. I need to learn how to have good financial mindset, and TRC is helping me to have that, how about you? I want to continue learning financial literacy and share it to my family, my wife, my kids, my relatives and friends. Might be similar as number 2, but not totally the same. I think financial mindset has a stronger degree compare to financial literacy. I need this. This one is in support on having a good financial mindset... and TRC is providing that. I really wanted to know how to start a business, "Be Your Own Boss" kind of thing, you know what I mean? Either online and offline. Bo Sanchez mentoring club has this regular newsletter called Wealth Strategies, and majority of the topics there are related to business ideas. It's like having a regular subscription from a business magazine, minus the annoying ads of-course. Thank you to all of brother Bo Sanchez business mentors. I learn a lot. Dean Pax Lapid, Thanks for sharing your business and entrepreneurial insights to all the members. I want to learn more about affiliate marketing businesses. Well, I can do this by practicing affiliate marketing. I just did, I did it through the program of TRC. Now, I am learning one day at a time, new learning at a time. I want to earn passive income. I already mentioned on my previous post what passive income is an income received on a regular basis, with little or no effort required to maintain it. You are earning while doing close to nothing. I am happy to share to you that because of the Truly Rich Club this one is happening already. I am now earning passive income. If I can do it, you can do it. I want to learn new concept and strategies of doing an online business like the TRC online membership site. From the start I knew that I can some concepts and ideas through Wealth Strategies. One of the best report I received about online business is from the topic “How to Earn from an Online Information Business” and “Double Your Earnings By Doubling Your Learning”. I want to learn how to invest in the Philippines stock market. Many people say stock market investing is only for the rich and ultra-rich people. Right? Wrong! You can do stock market investing too. All you need is a regular cash flow and discipline. I want to know the best performing companies in the stock market and become part-owner of these companies. This one is also important. Out of so many listed companies in the Philippine Stock Market, how are you going to select what companies are the best. With the help of stock market experts from the Bo Sanchez mentoring club I can say that the recommended companies are really good if not great. Without too much effort or research, I can have all of these great companies by being a member of the TRC. I want to be updated on what is happening on the Philippine stock market. I don’t wanna be bombarded with too much information, from the newspapers, online news, economic events and some political events affecting the market. What are the things that are currently happening on the stock market? On our case, members of the club don’t need to do some research. We got stock market update in a regular basis. And you can have it too. I want source of daily motivation. We need motivation. Let me share this nice quotation from Zig Ziglar about motivation: “Of course motivation is not permanent. But then, neither is bathing; but it is something you should do on a regular basis.” I need it daily. Period. I want to listen from Bo Sanchez inspirational and motivational talks. The Truly Rich Club Powertalk library is loaded with the right amount of inspirational, educational and motivational material that you need. By the way, you can have these PowerTalks for free; just go to The Feast in PICC, Manila every Sunday. But if you cannot do that because you’re in Visayas or Mindanao, join the TRC now. I want to attend Bo Sanchez events for free or with big discounts. Majority of the events of Bo Sanchez, about businesses, personal development or about stock market are being sent first to all the members of the TRC. Normally given to members with discounts. Don't be the last to know. I love reading financial, motivational and business ebooks like the Bo Sanchez mentoring club is sharing to the members. Before, I am not fan of reading books. It’s boring. Now, since I started changing my foundation and habits, I now enjoy reading business books, marketing and inspirational ebooks. I joined because I need to pay. I am a student. I want successful people to teach me. In order to follow them, I need to pay the price. The King Solomon says, “Wise men and women are always learning, always listening for fresh insights”... but to get some refreshments...what I learned from life is that... I really need to work hard and smart and pay it forward. I believe that there will always be quality in life if I force myself to pay the price. I want to know who are the mentors of Bo Sanchez. Spiritually, Financially, his business mentor, as well as his Physical or Health mentor. Just by joining the Truly Rich Club, I learned that his internet marketing mentor is also a Filipino, I then immediately study this guy, and also learned from him. Executed the lessons I learned and surprisingly I am now earning passive income. I may sound bragging to you but I am writing this not to impress you but to impress upon you that looking and following a mentor is one of the secret to success. This is little success is my testimonial to that kind of principle. So what are you waiting for, Go. Look for your own mentor. I want to help more people too. For those people who are aware of the works and ministries of brother Bo Sanchez. Yes, he’s helping many unfortunate people through his various helping ministries. By being a member of the TRC, even indirectly, I can also help other people as well. To name a few, these are the various ministries headed by brother Bo: Grace To Be Born; Anawim; He Cares; Tahanan ng Pagmamahal; Pag-asa ng Pamilya; Prison Ministry and Kyregma Family. But again, you can go directly on this various ministries aside from joining Bo Sanchez mentoring club. I want to retire young and retire truly rich. Well, I include this, particularly the phrase “retire young” because I want to enjoy life while I still can. I want to be truly rich and learn more to succeed in all areas of my life (spiritually, relationship, mentally, physically, and financially). This one is holistic. I said and stated on my first reason that I trust Bo Sanchez. This one is simple but it’s not easy. I cannot say I am truly rich because I am a good businessman but I am a lousy father. I cannot say I am truly rich if I am a good businessman, I am a good father but I am an unfaithful husband. Same is true.. I cannot also say that I am truly rich if you can see me as a good businessman, a good father, a faithful husband but I am a spiritual hypocrite. Like I said it’s simple but it’s not easy. I still believe it’s still doable. I trust God and I trust Bo Sanchez. Thanks for reading, and see you at the top. How about you? If you are a TRC member, I have a simple request, please let us read your personal reasons too. It may be similar to what I have stated, but I know you have your own reasons too. You can share it to the readers of this blog. Thanks and may our God continue to bless you and your family, may He always help you in all areas of your life. God will make our dreams come true. PS. I really appreciate your comment. If you are not a member yet, you can also ask some question or leave your decent comment below. PPS. Calling co-member of the Bo Sanchez mentoring club, please allow us to read you experience. Tell us your personal reason/s why you decided to join the Truly Rich Club. Thanks so much and stay remarkable. 1) Everything starts in inspiration with Bro. Bo, Plus my personal desire to manage better my resources (I'm not a wise spender) and understand wealth in a Christian point of view. 2) While listening and viewing Bro. Bo's talks, I find my thinking or point of view about wealth/money slowly being corrected, shifted and redirected in the right path. 3) I find my self just listening, reading and watching; I need (feel/felt) these accumulated knowledge and inspiration to be in reality; then without further using my brain muscles I joined TRC and Open a account in COL.
4) When I started viewing the videos and reading the ebooks, these opens my mind and heart in new healthy horizon about wealth in relation to my personal relation with Jesus. 5) I can study stocks find different resources etc. but without the inspiration and faith sharing in TRC, all of these efforts will be tiring and empty because everything falls short and lacks essence. 6) I have ZERO (0) knowledge about these, and I need a trusting and guiding support group that will not mislead me and it's no brainer that TRC is the right place to be. 7) I learned that SAM table is the direct and safest to invest in. Yes, any body can attend COL's seminars etc. but it will not give direct answer to w/c among the stock list is the best to invest and the possibility of being misled is huge because there's no support group like TRC that really provides the right direction. 8) Outside TRC is like usapang barbero lang ang knowledge and information na makukuha. There are a lot of people who are claiming they have the secret and correct formula about stocks. 9) I joined TRC because I really wanted to be serious about my finances and future in line with Christian values. 10) I knew the needs and resources in order to sustain Missions and God's work, the subscription in TRC goes into the right purpose and that purpose if God's purpose. 11) I don't want to grow old working, I pray that I'll retire young so that I can continue and express my conviction to serve the Lord. Wow. Thanks for sharing your 11 reasons, archie. May God bless you more. My main reason in joining truly rich club is to be financially free in 10 years and i also want to learn how to invest in stock market. I am a member of more than a year now and i am very bless to know a club like these. To the people who are not yet a member I encourage you to join the truly rich club, it will really help you. I joined the truly rich club because I wanted to learn more about investing in the stock market. I find Bro. Bo Sanchez' philosophy to be very sound and I want to be blessed financially and spiritually. Thanks Buboy for your comment on reasons why you joined the Truly Rich Club of Bo Sanchez. Yap, one of the learning is how to invest in the Philippine stock market the right way, but that's just one part of the learning we'll get. Thanks again. I love reading books and one of my favorite author was Bo Sanchez..I love the way he simplify things.. I love the way he teach.. in his simple way I can apply it in my everyday living..
And when i read his book My Maid Invest in Stock Market and Why You should too.. I made a decision to join the club..he explain it plain and clear..so simple just like eating candy..haha! when I was younger I thought stock market was for the rich people only..i didn't expect that I can do it too..haha! Hi Ms Felyzet. Same here I love reading ebooks too, mostly inspirational and business related. Sige nga, since bro. Bo is one of your favorite author, may we know how many Bo Sanchez' books do you have right now? Please state. Thanks for sharing and God bless. haha! to answer your question sir red..eto pa lang po eh..marami pa kulang..not even half sa mga nasulat ni Bro. Bo..yung mga iba nabasa ko na pero hiniram ko lang sa mga friend..hehe! Hi again, Ms. Fely... No problem with borrowing good books. I also do it from my friends sometimes... and I am sharing my books with some friends too. Normally... readers are most willing to share it specially if it's really a good books and if there are really something to ponder on that books. Nice collections of Bo Sanchez Books. I thinks those are the "best of Bo". I join the TRC simply because I believe that God guided me to be part of it so I can be able to fulfill my dreams - To be able to share to the needy and have something to share. I first encountered the TRC website last year and even downloaded Bro .Bo's ebook 'My Maid Invests…' and read it but it did not stay long on my mind as it was overwhelmed by some other thoughts. When I stumbled across again the TRC website lately, I could no longer resist to be part of it after learning more about it and Bro. Sanchez and his noble activities, so here I am. May God bless us and give us long life so we can be able to see our dreams come true! I had joined the club because I believed! And it works for me not just in stock market but more so to my life and to others as well! And why would I refuse? There is nothing to lose! Worth trying! With MONEY BACK GUARANTEE! NO questions asked?! You said it right. Aside from It's MONEY BACK GUARANTEE, yes! this membership site is not purely for stock market investing like most of the club critics are saying. And by the way, I visited your blogsite, I read it and may special mention pa. Salamat. Keep sharing and helping more people Bonnie. Thank God I found this article while I was reviewing my article on the 10 Reasons Why You Should Join the Truly Rich Club. I joined TRC in 2010 then left in 2011. Then came back in 2012. The reason why I unsubscribed because I never made the club a priority for my Financial literacy. But in 2012, I made sure I would get value for my money and the Truly Rich Club never failed me. Why I rejoined the club in 2012? 1. I am inspired by the daily God Whispers. Through God Whispers, I am reminded about being human and about God governing my life. I love those messages and they keep me going and they keep me inspired. 2. Stocks Updates are valuable because I am a beginner. To me, the Truly Rich Club is the cheapest way to learn how to invest in the stock market but the return of your money because of the knowledge I received is superb. 3. Wealth Strategies help me build my own strategies on how to manage my money.. the Truly Rich Way. 4. My subscription fee goes to the foundations for the poor that Bro. Bo founded. It's always rewarding to give. 5. I am a fan of Bro. Bo. PS. Great job on this article, Red! Hey hey hey, the Big Time Niño is in the house. Thanks for sharing your comment bro. I love reading God Whispers too, that's my reason numero doce. I joined TRC because I am always inspired by God's whisper everyday. I want to learn about the stock market, I enjoy receiving updates from Bro. Bo about it beacuse I have a peace of mind that I am on the right track.. Through this club I learned to read books and I learned how to change my mindset about wealth.. and I know that God give me this club to change others too..
Salamat Ms Chynn Flores for your comment. Same here, I am not a fan of reading books when I was in college. The only time I will open a book is when I have assignments. haha! Something happened when I started attending business and financial related seminars and of course reading books of bo sanchez, from then I also started buying books about business, marketing, and some self-help books. I agree, this membership club is great help for me and thousands others too. PS. Readers, May I ask how much is the highest amount you spent for a book? I know some books are very expensive, but again ignorance is far more expensive than learning something and taking action out of what you learned. Hello po,I loved reading books. The highest amount I paid for a book was P3,500.00 for a Thompson's Study Bible. And for financial literacy, Robert Kiyosaki's Rich Dad Poor Dad Books i paid €16.00 (at P68.00 rate that time it had cost me P1,088) each from an American Bookstore in Milan ordered from London. " I am really interested to learn more in investing stocks, and i can't keep myself from reading different blogs/articles like this one. It motivates, and at least gives me insight on how it works,at least for the basic. This is my first time and i am interested joining TRC..
You can start joining TRC, you can try it for a month, money back guarantee. Like what bro bo mentioned.." If during the first month of your membership, you didn’t find the material I sent you a powerfully inspiring Wow experience, then simply tell us—and we’ll return your money. No questions asked. And you can keep all the great stuff I sent you (worth $251.50 value) as my FREE gift to you for just trying." 1. First reason why I joined Truly Rich Club is because I believe and trust that God wants everyone to prosper. As a young professional, most of our obstacle is financial problems, but through this I started to believe that I can escape from those hindrances and continue my wealth belief. 2. I want to provide to my family and friends especially those who are in need. Currently, I have a lot of friends who come to me to ask or loan for money but sometimes even if I want to help I need to rethink first because I also want to help myself from those kind of burden. 3. I want to retire without worrying whether I could sustain my needs especially medical necessities. 4. I want to be an inspiration to everyone that being rich can be attain. If we believe in God nothing is impossible. 5. I want to prosper and be blessed so that I can help and give more. 6. Most of my friends wanted to invest but still don’t have the money or capital to start, I joined TRC because I want to attest that if we want something we can lend time and resources. 7. I love reading books. Since I was in high school I already started liking lots of books but mostly it’s about novels. Then when I started attending the Feast I realized that I needed to widen by horizon not just by reading novels (though, it’s also fun and educational) but also inspirational books. I’ve read the “My Maid Invest in Stock Market and Why You should too”, that’s one of the starting point of my desire to invest. Currently, I’ve purchased many books written by Bro. Bo and aiming to collect and read all of his works. 8. I love the benefits that the TRC had been giving, not just stock updates but also inspirational messages (God Whispers, talks, etc), books and many more. I felt that I’ve been blessed nth fold more than what I have given and asked for. Thanks Jemima Mae, for sharing your reasons why you joined this club. Yes, we all want to be 'truly' rich. Joining TRC has been a life changing experience for me, so much value for my money =) I grow spiritually while learning my way to financial freedom, how great is that? Blessings! I want to join this club to know more about God with some encourages me or inspire me that is not contradict with the earthly things. And to know how the human evolves from adam and eve and are they the first human on earth? how they multiply? And why is it the war before was more justifiable like what king david did? And offering of lives like what abraham did was acceptable and how can someone justify it? And last thing i want to be rich. Super rich. I used to have this similar belief that "Only the millionaires can invest in the stock market". I am wrong....average income earners and regular employees can now invest in the Philippines stock market. What we really need is a regular cash flow, More CashFlow... more money to invest in the Stock Market. I learned it from a friend and she recommended me to join TRC last year December. I read the book 8 Secrets of the Truly Rich which she shared to me and the rest is history! There's a lot of spiritual and financial learning. Financial education was not taught in school and I learned more from TRC. MAY ALL OUR DREAMS COME TRUE! Thanks Wilfred for dropping by and leaving your comment about TRC. No offense meant for our school system... but you're right, our schools are more focus on other kind of education. but then FAMILY, especially PARENTs has more expectant rule on forming our kids to have good financial education and good money mindset. God bless... and MAY ALL OUR DREAMS COME TRUE! I joined TRC because I was interested and eager to learn in investing the stock market. I want to be truly rich in all areas of my life, and yes! blessings are overflowing since then. I love being around with people who have positive and wealthy mindset. Mentors also were all great and I love them! Thanks... "I love being around with people who have positive and wealthy mindset. Mentors also were all great and I love them!" positive mindset and a good mentors that will help you on the way are very important. Stock Market has been my fascination. Investing in it is what I want to do but I want to do it right. Doing right means learning,mentoring and having a support group... all of these I have in the Truly Rich Club. If I may add, TRC helped me to be in track with my relationship with my neighbors and God. Thanks Fr. Teody. Learning to do it the right way, mentoring from stock market experts and having a support group is a must on stock market investing. I wonder how will we do it without the Truly Rich Club. I joined TRC to learn the different facets of stock investing. I also love to listen to experts on how they mentor the less experience people to invest in the stock market for them to retire young and enjoy life to the fullest. Positive midset of the mentors inspired me to join the group. Why I join Truly Rich Club...? First, Is love the purpose of your life? Is love the reason why you wake up in the morning? Is love the reason why you put foods in your table..? I believe I can fulfill my highest, wildest and Godly dreams. I also believe to my capabilities and gifts that God given me. Those gifts that will help, inspire, bless others and magnify all the the blessing that already been there. You cannot give what you do not have. And Also.. Same abundance mindset that you will get in The FEAST and in TRULY RICH CLUB. Hope you also act too, And remember.. There's no such thing as out of control if it is in GOD's Control. Don't be afraid, Stock Market is for you.. Thanks Angelo. Since you already mentioned MINDSET, let me add this piece of reminder: POSITIVE MINDSET + POSITIVE ACTION = POSITIVE Result. WHAT IS YOUR MAIN REASON(S) On joining the TRULY RICH CLUB? OR SHARE YOUR EXPERIENCE ABOUT the TRC. The main reason why I join the Truly Rich Club is very simple... To provide the needs of my (only) son! I said to myself, I will have enough money to give all his needs. And as the time goes on, I realize, this is not the only reason that the Truly Rich Club membership can give to me. I was educated in the process because as we all know, we are not only taught on what stocks to buy, what reasons to buy on stocks and why buy on a particular stocks but we are also taught in the Truly Rich Club other very important lessons in life, family, spirituality and finances. For almost 2 years as a Truly Rich Club member, I am more than happy and satisfied! Although, I believe, if i started earlier, the savings that I have right now in my portfolio would be more! Anyway, thank you for this blog because I am able to express myself regarding my membership of the Truly Rich Club! Thanks Sir Leo.... I like the word "SATISFIED!" and I believe a lot of us, members of the TRC are enjoying the benefits we are getting. I don't want to sound flattery... but this is true... I am also satisfied, the best value for the money. 1.) Everyday when I wake up in the morning I get GOD WHISPERS. I always start my morning by reading GOD WHISPERS because it refreshes my soul whenever I read it. 2.) With TRC I learned how to invest in stock market, not worrying if I will lose money. Because the team provides us update or advise on what to do with our investment. 3.) You get a free power talks, ebooks from Bro. Bo, to help you gain more knowledge in the stock market. 4.) TRC inspires me in everything I do, not only in investing in stock market and also investing in my soul. 5.) Mentors are all top caliber in their profession. They make investing more easy for us to understand, unlike in the past that we are afraid to invest. It was 2011 when God inspired me through one of the best selling book of Bo sanchez, the 8 secrets of the truly Rich. In this book, God made me feel i am an ordinary person who can do extraorddinary things especially we are His sons and daughters. Wow, Jether Gil Orendain! Believing and right mindset plus consistent action is really the key. You said "Greater things has yet to come.." I remember the quote of Henry Ford, he said... " Whether you think you can, or you think you can't--you're right." God bless you more, bro. I have been wanting to invest in the stock market since I was college student. I vowed that I shall begin upon working. Of course, it isn't wise to immerse into something without fair knowledge and guidance. It was the same time that I read My Maid Invests .. and I was attending the weekly Feasts, and I decided TRC is the way to go. I knew I'll be in good hands, with Bro. Bo's guidance. I thought TRC was all that -- stocks. I never thought it would be my daily source of inspiration (GodWhispers) and a place I can interact with other members who share the same perspectives as well as inspire and help each other. I have been in the club for a few months and I know I still have a lot to learn. I thank God for TRC! That is so true, Chris Marchan, "Don't put your money in something you don't understand" Aral muna. God Bless you. 1. I simply subscribed to TRC because I'm a Bo Sanchez fan. I love God like he does and i'm very happy to be more closer to God because of his preachings. 2. I greatly enjoy those tons of pdfs that i can download from my TRC account. I always make sure to read one or two after my work. The MP3 and MP4 talks are realllllyyy awesome. ive downloaded them to my phone and Im listening to them repeatedly while doing my household tasks. 3. TRC has taught me to become responsible of my finances. Before, i always send my money back to Philippines and keep some money for my "Emergency Needs" but now ive learned to really apply the 10-20-70 principle. I call it, power of integrity. A blind cannot lead a blind. Bro Bo really walks the talks. God bless you indeed, Joyce. I joined the truly rich club because I wanted to learn more about investing in the stock market and now i am blessed through Brother Bo inspiration and word of God. Thanks for sharing your thought here, Peter. Keep being inspired. God bless. For years now I have been trying to look for an answer as to how I could live my life fully. I had always to become rich but at the same time felt that money is dirty and as what they say, "the root of evil". It is only in TRC that I found the ANSWER and the WAY to my quest. Being a part of TRC, I realized that God and money can work together for our good. More than the financial literacy that I am gaining from blogs, posts, power talks, stock updates and wealth strategies, I am happy that I am getting to know God all the more and that I can feel His presence working in my life. Indeed, TRC helps us become wealthier and better persons. It shows us the secret formula of living our lives fully. You're correct many people think the other way....without having realized that God and money can work together for our good. They think that money is the root of evil, but it's not, it's the love of money, right? It's really an advantage to be educated. God bless, Ana. You probably referring to the Exclusive Social Site for TrulyRichClub Members, it's like an FB for the TRC subscribers. See you inside bro. God bless. I always wanted to join the TRC, and this year, I finally did.I love it.the Godwhispers are truly inspiring and motivating. The learnings from the Audios are great. It empowers me and helps me to be on the right track. Congratulations, Kristine! Those audio mp3 and video materials are also my source on inspiration and motivation. God bless. I joined because i want to grow financially and at the same time spiritually. Hitting two birds with one stone. I like that... "Hitting two birds with one stone." God bless. 1. I want to be rich- There is no question about it. You can ask people around you and they will tell you the same thing. The only difference is that I am taking the first step to be rich not just murmuring around and waiting for miracle to happen. Still the fact remains no one or nobody wanted to be poor, starving and blaming how awful and cruel world it is and eventually die in regrets. 2. I believe in TRC and Bro. Bo Sanchez- This sounds a very common reason. I guess all member have this if not they are not members. It’s all start in our beliefs as Bro Bo once said “our habit of thoughts” Believing in Truly rich Club and Bo Sanchez as will as believing in yourself. I first heard of Bo Sanchez when I was in High School, A friend of mind whom I bump into the hallway was carrying the book YOU HAVE THE POWER TO CREATE LOVE by Bo Sanchez. When the book landed on the ground so colorful with flowers in it I was mesmerized not by the flowers but because in that moment of haste I took a glimpse of the word LOVE. Wow! I felt in heaven. So I dared barrow the book. It was so wonderful that after that I begun to search who is Bo Sanchez, I went to books store to find books written by Bo Sanchez. It was then that I labeled him as one of my favorite author together with Rick Warren etc etc.. Imagine how surprise I am when I open the truly rich Club and saw it was no other than Bo Sanchez. 3. Hunger for knowledge- One faithful day, I was browsing my Face book when I stumbled on the updates of TRULY RICH CLUB. With the picture of Warren Buffet in it, talking about investing. I was stunned and yet my brain told me hey! Do some research first!! So I did, with the help of Mr. Google who is just a click away I found out who is Warren Buffet, His Back ground, achievement in the field of business and investing etc. Yet, I am not satisfied so I click on the link and I end up at TRULY RICH CLUB still hunger for knowledge about investments. 4. The need of Spiritual nourishment- I was hesitant at first, when I watch that 11 minutes video of Bo Sanchez. I was indeed convince that I am someone who needed spiritual nourishment. Being an OFW is really hard, away from your family, the feeling of homesickness, alone with this strange country different culture a perfectionist and tyrant boss and nerve wrecking co workers. You will probably become evil at some point of you life. TRC have Gods whisper, a great help everyday. 5. The challenge on Financial Literacy- As I read the book Rich Dad, Poor Dad by Robert Kiyosaki I begun to understand the meaning of Fear. The reason why everyone work for money. Yes, knowing everything financially and having a good education does not guarantee a good future anymore much more to be rich. When I was young my father taught us to save money. On the contrary we have a poor mindset and yet my dad never believes on good education either. He was an excellent farmer, everybody respect him and he didn’t finish elementary even. We believe we are poor but we have too much for us to think that we can last a lifetime. Were just kids after all. Our workers in the farm think we are rich since we paid there salary. 6. Curiosity in the Stock Market- Well, as a person who is crazy with books, I made it an exception not to read anything pertaining to stock market. Why should I? I have definitely no time for numbers! Just looking at them makes me sick! Oh! It hurts my migraine will be worst in a few moments! I’m no good on figures; I shifted from accountancy to computer programming because I am tired of numbers everyday. When I join TRC this hate of numbers become a curiosity. I was curious on how people invest in stocks, how they grow there money and how they earn millions? For the first time in my life I acknowledge defeat. It turns out numbers is not that bad after all? TRULY RICH CLUB has stocks update twice a month, a Sam table and so on. The Idea that the stock market is only for the rich people no longer exist in my vocabulary. 7.I can’t do it alone, I needed a mentor- So here I am, A member of TRC, found friends, chat with each others and learning on the process on how to invest, excited and anxious about earning my first millions. I know it myself that I needed a mentor to help me understand what is going on. No one and nobody got rich alone and certainly this didn’t happen overnight. 8. Manage Failure and doubts- Honestly, when I join TRC I have doubts and fear which is normal, I bit you, all the newbie’s felt the same if you are not one of them then I salute to you. As for me, I’m afraid of failing. Some of my friends told me, Hey, what is wrong with you? You’re just wasting money! Paying an international gold membership a month? For Christ sake! You’re insane! Wake up girl! If you save that money in the bank its better. You want to invest in the stock market? They look horrified! As if I will jump off the cliff and vanished forever. OH! That a stupid idea, I know someone who just went broke investing on stocks. I heard different negative comments from all my friends, I can probably write a book with it. So now you will ask me? How did I manage that? I put the earphone in my ears just ignore them. I listen to TRULY RICH CLUB power talks; finding your emotional why, create your wealth beliefs, be consistently aggressive and so on. And I read a lot of e books from Bo Sanchez. I recommend you should too. It was then when I come to my senses and manage my doubts and fear. As Steve Jobs said “If you are afraid of failing you wont get very far”. Now, I started telling my friends about joining TRC actually and investing on stocks. I am glad they listen although not all of them peace my friends. 10. Financial freedom- When my dad died, I become the bread winner of the Family. I was working at the age of 11 while studying. A working student, during high school I work in the morning and study in the afternoon. When I was in college I work the whole day and study in the evening. I carried too much financial burden and responsibility in my shoulder. 15 years later, this financial burdened multiply into tons and tons of responsibility again. I wanted to scream out loud! Where is Freedom? I wanted to be free! When I join TRC, Believe me or not I have found my niche. Not only I manage my expenses slowly but also I manage to diversify my income and invest on stocks. This is just a first step on my long journey to financial freedom and TRC is there to guide me along the way. Thank you So much indeed, Maricel. the longest comment so far... let me summarize, here's the 10 reasons. 5. to find nice and like minded people who likes to help out each other the way they can. Someone say motivation is like taking a bath. You need to do it everyday... same case in what The TRULY RICH Club is providing, right? We can always listen to PowerTalks. I joined the TRC of Bo Sanchez because I want to gain my financial as well as spiritual wealth. Since I joined the club, I received lots of learnings and inspirational messages, and transform my beliefs. These helps me grow my character and I became confident that I will be able to reach my financial freedom. I'm very thankful for his passion in helping many people. He's a wonderful blessings from God. 1) to be guided accordingly on what i should do both financially and spiritually. 2) to be able to get out of the rat race ASAP and be financially free some day soon. 3) to be able to help other people in any way i can. I joined TRC basically because I want to start investing in the stock market and make my money grow and work for me. But I am getting much more than that. I get a daily dose of Godly messages that really inspires me and makes me start my day right. Plus all the talks and free ebooks that comes with the package. I'm already starting to feel like I AM TRULY RICH. Thanks! I believed that me joining TRC is a calling! I am not so fond of clicking sites and invitations in the net. That's why I really am not sure how I reached Burn Gutierrez blog site last June 19, my birthday. That leads me to TRC page and the invitation to join. I filled up the online application form and paid the subscription fee (another new to me) without expecting anything. I enjoyed the pages; it inspired me at once. It reminded me am not getting young. It hits me that in my 10 years of working as an OFW, I don't have any savings yet. Bo's maids and driver challenged me. So I decided I will give it a try. TRC inspires and challenges me. The members amaze me and their willingness to help is a testament to the goodness of the group. TRC in a very good and subtle way forces me to save and invest. It pushed me to inspire others too. TRC helped me "pushed" at least 8 close persons to start investing in stocks. The stocks updates of TRC make me think. The wealth strategies make me smile. The God Whispers make me happy. TRC is a great support group and visiting the site is a daily routine now. I am hoping and praying that the "lights" am getting from TRC will shine to as much people as can be! I joined TRC because i want to invest in the Stock Market and to gain Financial Freedom and Spiritual Abundance. I want to prosper and be a blessing to other people. I learned, being Truly Rich will bring more meaning to life while God still our guide. Joining truly rich club is a dream come true to me! First, it changes my mindset to focus on positive things and embracing abundance in this world that God has offered us. Second, it provides me significant knowledge on how to manage my finances. Now I learn how to invest in the stock market, got updates and ideas on managing business. Last but not the least, I was able to nourish my relationship to our God and be an inspiration to others. Indeed, I am so grateful that God made Bro. Bo an instrument to all people who want to bless others through becoming truly rich! After 7 long years of working here in UAE, I finally found TRC just last month. I believed that my long term plans and dreams to have my own house and a family business will come through. Since I joined the club, my lifestyle changed and helped me a lot to prepare for my family's future. Now that I started investing in the stock market, I continue to pray that Bro. Bo and other mentors to have more great knowledge and wisdom to share with the rest. I joined TRC last year May 2012 because I was looking for another way to invest my money......God directed me to Bo Sanchez's website. It was a blessing. Since then, my views about money changed. I love powertalks, the stockmarket updates, Godwhispers, ...I was so excited during my first year that I have shared it to two dear friends, and they joined the TRC and invested too in stockmarket. Two months ago, my secretary also started investing. :) It actually changed my life for the better. :) Thanking Bro Bo Sanchez and his team for a job well done! Blessings! I joined the TRC because I was inspired with the story of Bo Sanchez's maids investing on the stock market. Additionally, I feel tons of happiness whenever I regularly receive articles on Wealth Strategies and God Whispers on my email. With TRC, I don't just grow my wealth. I also grow as a person and I grow close with God. I can't imagine of joining any other group or club with the right balance. I joined Truly Rich Club to learn and be guided on how to invest in the stock market. I really want to become Truly Rich so that I'll be able to help the less fortunate people and be able to help good people prosper. That way, there will be more people that will help others also and become a blessing. Since I joined, I have a more positive outlook in life, more hope. With GodWisphers, I've got to be reminded of how God loves me and how blessed I am. I pray that more people will join the Club! More power! To be quite candid,i joined TRC at first to gain more knowledge about how to invest in the stock market. Later on, as I continuously read the emails which I received from TRC, I became enlightened not only about financial literacy but also about how I can use this knowledge in helping others discover and or gain financial freedom. For me, joining Truly Rich Club and encountering Bro. Bo is a gift, a God given opportunity in my tenth year stay at Italy as an OFW. Inspired by the e-book "My Maid Invest in the Stock Market..." , I just can't resist joining the club. TRC provides me the knowledge on how to invest in the stock market with boldness and assurance,thanks to our mentors for the stocks update,wealth strategies,power talks. TRC teaches me the proper mindset on wealth and prosperity. I learned it's possible to be entrepreneur while working abroad. TRC helps me in sharing financial literacy to friends,relatives and OFW within my reach. I realized it's not just the goal of being financially free that counts but also on helping others achieve their financial goals and dreams too. TRC is a one place to share the love of God and His greatness in our lives. God bless us each new day! I am a OFW working in the Kingdom and joined the TRC coz I am really inspired on Bro Bo ebook re his maids investing in the stock market.I want to invest as well and coerce my siblings to do as well. TRC is not only platform gaining financial freedom but indeed an outstretch arm for spiritual abundance. I hope I can be more familiar with all this things for me to bring and educate future millionaires specially my siblings who are working overseas as well.God bless and you may prosper in all your undertakings. I joined the TRC because I was inspired by our mentor Bo Sanchez that our purpose in life is to help and touch other peoples lives. For morethan a month being a member of TRC i learned a lot not only for the financial aspect but to change my beliefs in life. Now im building good relationship to my family, friends and people i met everyday. God Bless! Lets make every filipino to become truly rich! I joined TRC because I really trust our mentor Bro. Bo Sanchez. I'm also dreaming of becoming financially independent in my retirement years ang being a member of TRC is my first step to become one. I also want to be a blessing to everyone I know by just spreading the financial literacy that I learned from TRC. God bless us and more power to TRC. (1) Truly Rich People Help Their Family. (2) Truly Rich People Help Their Bigger Family. And because we are blessed, we are blessing the world, in Jesus’ Name, amen! Money is important but IT IS NOT the ultimate solution to every single problem or difficulties in life. Invest it, Share it, and Give it away.... and it will keep coming back to you. I joined TRC because I wanted to be part of a fantastic team and good people. Lead by Bro. Bo Sanchez, it has taught me more and has taken me to wonderful knowledge financially as I continue learning the ropes and nourished me spiritually. Being a member of this club is a wonderful blessing and a gift from God! And I am also extending my blessings to other people because I have exceptionally more than enough to share.. especially God’slove. I joined TRC because of the many good things I read about BO Sanches and the advantages of being a member of TRC. Moreover, I want to make sure that I do things the right way and most of all I don't want to lose money in unguided investments. I joined TRC to gain financial freedom. I've been working as an OFW for the past 8 years without knowing of the stocks and all. But TRC open my mind and give me the wisdom to know the ABC's of investing and saving. TRC gave a more meaningful outlook in life by being rich both financially and spiritually to help myself and family... and soon to help others with the abundance that is to come. I first saw Bo Sanchez on television one Sunday when he is sharing at the Feast. I was inspired and touched on his words that I immediately bought one of his book entitled "How to live a Life of Miracles". It was a life changing book that made me realized how simple things are already a miracle. After reading the book, I look for articles about Bo Sanchez. Then upon checking, there is a free ebook about on how to invest in the stock market . After completely downloading and reading the book, I suddenly realized that it is meant for me. I always wanted to be financially literate and at the same time be closer to God. Now Im still investing in the stock market based on the SAM table at the same tme recieving audios and videos that would enrich my spiritual life. I'm really happy that I am a member of the TRC. I googled Bro Bo after attending a company’s seminar that had a speaker as fantastic as Bro Bo. Initially, I joined his Kerygma family, a virtual community in the internet and eventually his Truly Rich Club. I joined TRC because of its promise that I'll gain spiritual abundance and financial wealth at the same time. Now, being a TRC member for more than 2 years, I'm enjoying more than what has been promised. Indeed, if you put GOD first... blessings will follow. TRC and Bro Bo are literally God’s blessings! Hi this is mark, I'm 26 y.o.. 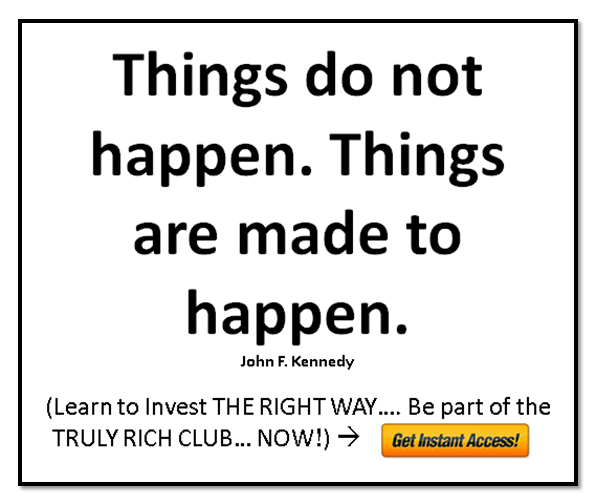 I joined truly rich club because I believe in Bo spiritually and financially speaking. Way back when I was only college , I had already been hearing about Bo and wanted to join his club and to be spiritually nourished as well. Now that I have a job, I wanna thank God for this through BO, that's why I joined here. Another reason is I don't want to be working forever but I wanna be financially passively stable just like Bo, SO I joined this club because I wanna think like Bo, act like Bo, Influence like Bo, and Be like BO!! Thank you and God bless! I want to join TRC simply because I believe life is more beautiful if you’re into an organization who does not only help you spiritually, emotionally but also financially. Its good to have friends who have a good relationship with the Lord and have a positive outlook in life. They give you motivations and inspirations in your well-being. I want to be rich not only in spirit but also to gain financial freedom to sustain not just my family but those who are in need. More power to TRC and may God bless us! The main reason I have joined Truly Rich Club is that I am committed to be truly rich. Bro. Bo Sanchez stated from one of his talks to be totally committed, if you want to achieve something. The 8 Secrets of the Truly Rich is the first book I have read from Bro. Bo and that book awakened me and gave me hope and practical ways in achieving my dreams for my family. After reading the book, I started to research on how to grow money. How to protect the money that I have saved and expand its territory. I attended also one of his talks to know more of Bro. Bo. I also attended the The Feast to be comfortable with the flow. Lastly, I wanted to thank our Father God in heaven for showing us how to be truly rich through preachings of Bro. Bo. Thank you God for using Bo Sanchez. I love blessings!!! This is why I joined the TRC. It offers great blessings which I am enjoying now. One of these is the daily God Whispers which reminds me of how great our Father is. Another is the opportunity to have financial abundance through stock investing. I don't have knowledge about stock investing but with the guidance I get from the club, I'm learning the basics (buying and selling). These are just some of the benefits I got from the club. There's more!!! I was moved and inspired by the stories of Bro. Bo on how his life was shifted from poor missionary to "multi-millionaire". By being financially independent, he was able to have more time and financial resources to help other people. I joined Truly Rich Club because I want to emulate the mindset of Truly Rich. Through this, I will be able to learn and understand things like stock market, real-estate, entrepreneurship etc. But above all, I have realized that I have to become rich and be blessed so that I can give share these blessings to others. My reasons of joining TRC is to learn from people who are successful and may share ideas that I may not know. As Oprah Winfrey said, if you want to be successful, be with people who are successful. Besides, I want to be spiritually and financially healthy. As God has promised us to have a bright future and to be prosperous, where we are given hope and talents (Jer 29:11). I also believe a person may become successful when he is equipped with personal development teachings (education), which is very essential in financial literacy. Another thing, I know TRC thru my subscription of the Kerygma.com daily word. The reason I joined TRC was because I was inspired by Bro Bo to be financially free. HAPPY HOLY MONEY as they say. God has given us power to be wealthy. Because the purpose of our wealth is to BLESS OTHERS! The main reason i joined TRC is to influence others of what i have learned. We can make a difference by sharing our blessings that GOD has given us. I joined the Truly Rich Club because I was inspired by Bro Bo to be Happy Holy Wealthy. I believe that the real purpose of our wealth is to bless others. Godbless! I joined TRC because of the teachings on financial and spiritual freedom. Receiving God Whispers daily is great way to start my day. Bo's teachings on financial literacy is an eye opener for me who was once very skeptical in investing. I know TRC will be able to help me on how to invest in the stock market with its stock updates and support from truly successful TRC members. God bless and more power to TRC! I joined Truly Rich Club because I know this will help me a lot. I was a SAVER before and that means I secure all my money in the bank obviously because I lack knowledge about investing. But now, being already a member of this club I've learned a lot about financial. How to widen my financial wallet. I've got to know lots of things about investing in stocks and the learnings I've been receiving spiritually is a blessing. Now, I realized that the measurement of being TRULY RICH is not by how much money you have earned or by how far you've gone through with your profession.. but by how much love and care you have showed and how much blessings you have shared to those people who are really in your needs. I enjoy meeting new friends in this organization and I feel so blessed with that. Thank you Sir Red, Sir Bo, and others, though i haven't met you personally, I hope you've blessed other lives in so many ways that you have blessed mine..
2. Financial literacy, especially learn how to invest in Stock Market to increase our savings. 3. Be emotionally and financially ready as we wait for God to give us children. Thank you for this blessing. God bless us all. I joined TRC because I was inspired by Bo Sanchez in so many ways. I love reading his books. I want to be financially free and gain spiritual abundance at the same time. I want to be TRULY RICH and continue to bless others. I joined TRC because I was inspired by the many good comments of those are already members of this club. I don't want to loose money (big money) if I do it alone. I don't know technical analysis etc. while Bo Sanches gives stock update every month which I just have to follow in so doing I will be sure of my investment. I have the feeling that I will attain financial freedom and be able to help others in the future with the help TRC and of God. i want to be Rich and to become millionaire! napakasarap isipin na magkaroon ka ng financial freedom..yung pagdating ng sahod tuwing 15th & 30th meron pa ring pera...hindi kagaya noon before joining TRC na wala pang sahod ubos na ang pera at nanghihiram na sa mga kasama..but now because of the teachings of TRC everything changes...ang kailangan lang is basahin ko lang paulit ulit ang newsletters and paulit ulit na pakinggan ang mga powertalks para lalo pang ma change ang MINDSET ko. hi..i joined the truly rich club because i believe in what it serves for us and I know i will be guided both spiritually and financially. I was also inspired with the thought of financial freedom and I know my life will be fulfilling if I will be able to share my blessings with others. I believe that being in this club can help me grow with God and be able to appreciate everything that life has to offer. I joined truly rich club because i believe that everyone has a chance to be wealthy not only financially but also spiritually. I have read Bro. Bo Books and it is very very inspiring and it motivates me to do the right thing and save the right way. We cannot give what we don't have. I love to help people especially the sick and abandoned children. This Club will help me more in giving me ways and means to gain knowledge on stock market and at the same time still be a giving person. I join TRULY RICH CLUB, because I want to educate my self financially and at them same time spiritually. Bro. Bo inspired me a lot and all his books and power talks motivated me to do the right thing, especially the concept of LOVE since it is the basic thing first to do before everything else. I joined FEAST and everytime I feel that I'm lost I read his books or listen to his power talks and again it energizes me. Another thing is that he also guides me toward financial success by starting stock market, This is just the start of my journey here with this group but it feels like HOME, everyone is happy and so It makes me Happy too, We gain financially but also we must give/ share what we have, In God I Trust, I believe I'm here because there is a purpose. It's sad to say that when I joined the Truly RichClub in 2011, I know nothing about the Stock Market. I needed guidance then on where to invest the lumpsum money I got from my retirement. Luckily, I'ved known Bro. Bo when I read his book "My Maid Invests In the Stock Market and Why you should Too. At my age, I hope its not yet late for me to fulfill my dreams of becoming rich someday. Am honored and blessed to be a part of the club which is surrounded by young and talented people like you. I love reading books that will help me in enhancing my financial knowledge and personality. I hope you could accommodate me. Thank you so much and God Bless! TrulyRichClub is indeed amazing. It helps everybody to be truly rich, not only financially, but moreover, spiritually. I joined this wonderful club because I believe in its Mission-Vission Statement. It's mission is to help the Filipino people to become financially and spiritually rich. On the other hand, its vision is to have a better Philippines by producing financially literate Filipinos. Indeed, TrulyRichClub is REMARKABLE. I hope all of us who joined mthis club will all be financially successful sooner! We pray for each other. God bless us all. 1) I've realized that one way I can improve my financial state is to join a club who will mentor me and help me understand everything about investing. 2) I want to surround myself with successful people because I will definitely learn a lot from them (that includes you, of course) . Bro. Bo Sanchez and the team inspire me to take action and stop procrastinating so I can now start prepare for my future; start to feel blessed so I, too, can be a blessing to other people, and most of all, love God and remain faithful to Him. I joined the TRC because I wanted to gain financial literacy. The experience has been phenomenal. It has blessed me greatly. I learned to be more generous and to have a blessing mindset. I joined Truly Rich Club because I believe and I trust Bo Sanchez. His first book that I read was "HOW TO FIND YOUR ONE TRUE LOVE", it was 4years ago. Few months after reading, I got a chance the meet my old schoolmate who is now my husband for 3 years. I believe this is a blessing from God with Bo Sanchez as an instrument. Now I am learning to become financially free, Bo Sanchez and the whole TRC will be of greater help. Its best to belong to a group with the same goal...to be financially free!!! I joined TRC because I want to learn on how to invest in the stock market. I also want to be financially literate for me to have a good future. And with the things I'll be learning both spiritually and financially through TRC I'll be very proud to share it to my family, relatives and friends for them to experience and be aware on how blessed am I because of TRC. And lastly, at present I'm having problems financially due to the inherent debts from my parents. I want to learn some ways or strategies to get out of debts and be financially free. I want to be good in managing the little resources I have at present and put it into a good and profitable investment, and I Trust TRC to guide me well on that goal. I believe joining the Truly Rich Club is one of the first steps one should take in order to start their financial freedom. There are a lot of things to learn to gain financial freedom and everything is made easier by joining the club. The basics are easier to understand with the help of the periodic release of the wealth strategies and the stock update. One can also get a piecemeal day to day refreshment for the soul through the God whispers. There are a lot to gain and almost nothing to lose in joining the club. You also get to hear from success mentors either in audio or video mp4 formats. Just by constantly reading through the contents of the page will help you learn a lot of things little by little. But by engaging with other members through the interactive TRC platform, listening to the uploaded mp4s or watching the regularly uploaded talks one can surely learn more than you can absorb in a week or month's time. I joined TRC for the financial knowledge that i will gain in the process, and i believe that in order to gain financial literacy you need to be mentored and be surrounded by positive and goal oriented people. But the main reason why I join bro. bo's club is for me to grow more spiritually. I really want to thank bro. bo personally for creating this wonderful club and giving hope to people like me. I joined TRC because I want to have financial freedom at the same time supporting Bro. Bo's ministry in promoting financial literacy to the Filipinos. This is my way of thanking him for helping me grow personally. He is my mentor and he has such a great influence in my life. I not only want to become rich financially but also rich in every aspects of my life and TRC helps me achieve it through great mentors, power talks and GodWhispers' messages. I have been reading a lot of books, instead of getting answers to all of my questions parang mas dumami pa question ko because majority of them gives you an idea but not the steps. I finally decided to join the TRC to gain more financial wisdom, to help my parents, to retire comfortably & to meet positive mindset people. so far i think for me this club teaches each member step by step process on how to be financially, emotionally, spiritually literate & most of all to have a generous mindset. 1. A new guy like me in the stockmarket really needs help with professionals when it comes to investing. 2. All the good reviews, and literature really helped and it made me realized that it was more than just a "marketing concept". 3. All the market updates are really easy to understand for a newbie like me. 4. The support from the TRC Support team are very helpful and they are all prompt and east to approach. 5. The TRC Community is very supportive and you will really feel "at home". 6. TRC helped me build up confidence and insurance that I'm investing on the right stocks. 7. And to top it all, TRC will not only help you financially, but also spiritually. They are the only Club who will help you with your investments and at the same time give you inspirational messages that will help us get closer with God. To sum it all up, I could say, I had no regrets joining the Truly Rich Club. I joined TRC because I believe in the spiritual and financial wisdom of Bro. Bo Sanchez. I am one of his followers and have read his books. I also want to be guided in by stock investments, especially the big companies in the market. Also, I want to retire young and retire rich and help other people. I want to grow rich to reach out to others. I have been reading to improve my financial knowledge and I came across TRC. I immediately signed up because I admire the financial and spiritual guidance that Bro. Bo shares to all through TRC. I joined Truly Rich Club because I wanted to have a brighter future for my family and learn a lot from the other people experience in financially, inspirationally, and spirituality. I really loved Power Talks of Bro. Bo it keeps me inspiration and positive attitude in reaching my goals. I joined the truly rich club because 1. i think this is the best investment i can give myself - financial education 2. I wanted to be engaged in the stock market and i want a mentor whom i can trust. to exchange and challenges ideas.TRC teaches us about financial literacy on subjects such as debt-management, saving, investing, and business.Lastly, I want to be a true millionaire. Thank you, Darknight. Yes very true... stock updates are very helpful specially during time when you really need it. 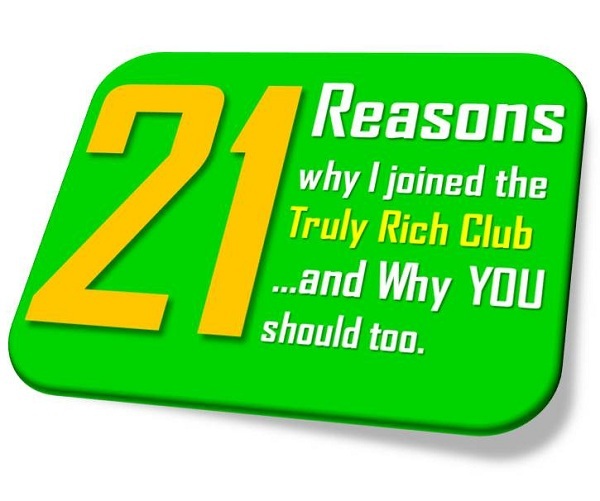 Here are my reasons for joining the Truly Rich Club (TRC). I am a work in progress and I know I am destined to instrumental in demonstrating how good our Lord is. It does not matter how many lives I touch..even one soul is worth reaching out for. 1. I wanted to know the real essence of being truly rich which is fully embodied in the person of Bro. Bo Sanchez. His life is purposeful. He is not perfect but continuously grow spiritually by the grace and faith in our Lord Jesus Christ. 2. I am now developing a healthy mindset about money. I clear declared when I was in my sixth grade that I will not become rich because I know wealthy people are not good. The source of their treasures are surely not legally earned because if they do fair and good business practices they will not earn as much. 3. I now desire to be blessed so I can bless others. Money is neutral. It is not evil. In fact, money can be happy healthy and holy. It all depends on our intentions on how we would like to use the money we grow. I want to earn huge amount of money so I can help others in need in big ways. 4. I love being a member of TRC. More than developing a giving spirit. Bro. Bo Sanchez has shown how to save and invest to grow our money. I now invest in the stock market. I am also continuously learning all the different investment vehicles I can take to grow my money and develop several sources of passive income. So I can have lots of time for the Lord's service and do things I really love. 5. I have learned a lot from this club but I know I need to acquire a lot more skills in working to be a part of a ministry in the Lord's service to fully utilize my talents in community work. I know I should not limit the benefits I get to myself and my family. I have a responsibility to share and spread the good news. 6. By continuing to be a member, I hope to overcome my inhibitions to use my power of speech and ability to write to share how good God, our Father is. I know there are a lot more rewards of happiness once I have found myself in the Lord's service in which I was designed to be. 7. I hope by continuously educating and empowering myself to be truly rich. I will eventually be truly free, unafraid of whatever challenges the Lord's service will place before me. I want to be amazed with the greatness of our Lord Jesus Christ in fulfilling dreams I thought I can never achieve. 8. I know the membership to TRC will lead me to realize my true purpose in life. I can then make a testimony out of my struggles and successes in my life's journey. Then I can come home to our Lord's embrace in eternity. You have a good and selfless heart. I know you feel His love always. You know the essence of living in His presence. You have found the Lord's service in which you are designed for. I joined TRC to learn more and be with like minded individuals. I joined TRC because to accumulate wealth, help and share others. I joined because I want to secure our family's future both financially and spiritually. In doing so, it will make us bond better and stronger. I joined TRC because I want to improve all aspects of my life. Spiritually, Financially, Emotionally, Mentally and Physically. I am learning a lot through the daily Godwhispers emails, wealth strategies, stock alerts, free ebooks and downloadable Power Talks. I'm a newbie..and I feel blessed to be a part of the truly rich club. I joined TRC because bro. Bo helped me to rise up again.Reading his books inspired me and brought another hope to be with myself again when I felt empty and lost.. I'm a reader..i love to learn but one thing that scared me a lot is reading about finances and numbers.It was tattooed in my mind that I am poor in math..and I cant handle any business..but bro. Bo's insights opened my mind to reality that I need to do something in managing my earnings and assets. I dont want to waste them either. Being a member of TRC made it easier for me to understand. I joined TRC because I believed that this is the key for me to share what I have.I want to help others especially my family and the less fortunate. I didnt come from a well-off family so,I know by heart the struggle of a bread winner. I cant share what I dont have..so I believe that TRC can help me a lot.. Since I work here in abroad i was not able to save even to think for my retirement fund 14 yrs now. Until one day I was thinking, I ask to my self what will happen to me if im not fit to work anymore or I lost my job? I don' t have enough money in my savings account to live together with my family just in case I lost my job.So I try to search in the internet regarding Investment in the Philippines in YouTube it happens That this video of Mr. Bo Sanchez is there saying Why should we invest in Stock market. I click the video and I listen to him, I was so inspire of what he is saying in the video and I look again for another video of Mr. Bo to listen more for his inspirational talk I learn a lot and change my self and thought regarding money.Until I join Truly Rich Club Im new in this club I join Trulyrich club because It change my life , I learn now how to care & love for my self and my family Thru Mr. Bo Preaching in his weekly Feast. I learn How to save and increase my financial for my family future.And in truly rich club you will learn a lot anything that you ask the club will give you answers and advice. Im so glad and Happy that i found the Club. God Bless to all member of TRC. Joining TRC has been one of the most beneficial decisions I made so far, beneficial not only materially but more importantly spiritually. I continuously benefit in terms of financial coaching from TRC, specifically from Bro. Bo Sanchez and other TRC members who are more experienced and knowledgeable in the aspect of investing while simultaneously learning even more important values in life through Bro. Bo Sanchez’ Power Talks. As Bro. Bo puts it, money will not make a person happy. Money can increase our helpfulness which in turn will make us happy… living life knowing that you were able to impact others through your helpfulness. Since I was a child, I have always been helpful to others…to my classmates, my friends, my siblings, my cousins and my relatives…and I realized that helpfulness has really made me the happy person that I am now, and I want to increase my helpfulness even more. I want to leave this place a little better that I knew it. By the way…we were born poor. TRC has made me realize that we weren’t poor. It is just that we were given the chance then to know how it was to be in need and were now given the opportunity to help those who are in need. I am a CPA currently working abroad with my family. Thank you very much Mr. Red for coming up with this blog. I learned from it as well. I joined TRC,first of all,because I'm an avid reader of Bo Sanchez' articles in kerygma magazine that was being sold in our parish when I was still in highschool (I was a member of the youth ministry).In short, I trust Bo and I believe in his ministries. Second,I want to learn how to invest in the stock market. When I was still in the Phil. and I see the page of the stock market in the newspapers,I always ask myself how does it work and now, I believe that God is answering my questions by joining TRC because I know that I will learn more financially and spiritually in this group. I also want to learn how to manage our finances, being a wife and a mother, I always think of ways how to invest our money so when we go back to our country we won't be empty handed. Thank you for allowing me to be a part of this blog. More power and Godbless!! Joining Truly Rich Club is one of the steps we took as husband and wife to be debt-free and to achieve financial freedom. Not only they teach us on how to invest in the stock market the right way and how to control our finances, being members in this club help us strengthen our inner beings because of Bro. Bo’s spiritual principles and teachings. We believe in surrounding ourselves with people who constantly influence our lives positively and encourage us to achieve our goals. They are very much involved in our lives through power talks and encouraging messages thus making sure we are going the right track. That’s what we are looking for in a club and we found it here in TRC. Indeed, it’s a TRULY RICH club! More power and God bless us all! When I joined TRC in September last year, my main reason was to learn to invest in the stock market as recommended by my friends. Today, my stock portfolio is growing and I am very optimistic for the future. But aside from the stock market information, joining TRC has blessed me also with the other benefits we can get thru this club. Reading the GodsWhispers and listening to the PowerTalks inspires me spiritually. It guides me and lifts me up especially when I am going thru some tough times. It is also guiding me financially thru the StockUpdates, WealthStrategies and SuccessMentors. I hope to share these blessings with my family, relatives and friends. I do believe that sooner i will share the knowledge i gained/learned regarding investing on the stock market. Since i joined TRC, my financial point of view in life was changed. What I am now today is so different compared to what i was before when i haven't met TRC. Thanks to TRC. I joined the TRC mainly because of the spiritual guidance that goes with investing in stock market. It's nice to be taught how to make good use of the money not only for myself but also for helping others. after joining the Truly Rich Club, my financial IQ has been increased. I learned things that i never thought i would be interested in like the stock market. I don't like reading a lot but the books from Bro. Bo was interesting that it does not make me sleep instead. And to top it all, my spiritual being is nourished by the learnings I gained as a member of this club. I joined TRC due to Bo's reputation and I want to be able to gain financial literacy. I enjoy reading his modules and books with lots of sense of humor. Through this club, I am looking forward to my financial independence in the future. I joined truly rich club because i believe that Bro Bo Sanchez and most of the members of TRC are learned people, full of wisdom and are willing to help in the enhancement people lives. I also believe that I will be guided properly on how will i enhance my full potential and use/discover God's gift of talents in order to have financial freedom. Mentoring from members will be on my way to success. And through TRC, i will achieve success in business as well as in managing my finances. With these, i will be able to help others - enhance their lives and be financially free. Like most member of TRC I want to earn passive income. And knowing that the man behind this group is God-centered I fully give my trust on learning about handling and investing money. Besides, TRC is not only about making you rich financially but also spiritually. Which to me matters most. I joined TRC to learn more about stock market investing and earn a passive income. I'm happy and thankfully to TRC because i learned a lot of how to earn profits and motivates me to be a businessman someday. Thanks God I'm a Trulyrich Club member. My four months in TRC has been great. I joined because I trust and love Bro. Bo's teachings. It is the life that I wanted to follow. having the desire to be wealthy is not a sin nor bad at all, as long as our purpose is to love. I thought it is only my financial mind setting will be changed but surprisingly, also the other areas of my life. TRC has given me the core values needed to change my life. What I love also in TRC are the members that are so helpful for newbies like me. Looking forward to be financially free and share my blessings to the world. Bro Bo have inspired me so much i have grown in my spiritual life and have developed a deep relationship with God. I joined TRC because i want to be financially independent and to be truly rich. It's been 2 years now since I have joined the TRC and it is a blessed experience for me and my family. At first, I have no idea how to earn through passive income like the stock market but because of TRC I was properly guided and motivated to be faithful in saving and investing. As a member, you will be coached on how to invest your money properly in the stock market and other means of income. How money will work for you, so you could spend more time with GOD and your love ones. I will be forever grateful to GOD for giving me the opportunity to be a part of TRC and allowing me to be a blessing to others. Thank you Bro Bo. for being a light to all of us. GOD bless & more power to TRC. The main reason I joined TRC is because I was so inspired by the things I read about it from facebook and also I've been an avid fan of stock investing (though knowing so little of it). I decided to have some kind of mentor for me to learn more about it. When I joined I came to love the friends I make from TRC. They are so generous in teaching me a lot regarding stock investing. I am so glad about the influence I got from the TRC as a whole to my character, to my positive outlook to life and to the business mindedness it created in me. I joined the Truly Rich Club because I believe in the advocacy of Bro. Bo Sanchez. I’ve been reading his books even before I joined the Truly Rich Club.I was truly inspired with the way he helped his maids to invest in the stock market. I also wanted to retire with millions. That’s why I entered the Truly Rich Club. It provides guidance on stock market investing. And I needed that. Plus, there are a lot of bonuses! I’ve been a Truly Rich Club Member since November 2011. And I have no regrets. I admit that I had the poor’s mindset when I started. But the Club has helped me change it. Today I am still learning and continuously gaining the mindset of the Truly Rich (not just Rich because there really is a very big difference). I actually just recently joined and I don't regret it. I want to gain financial freedom and retire a millionaire. I believe Truly rich freedom will help me achieve this. I never thought I could ever invest in the stock market until I found TRC. I love how they make investing in stocks so easy and simple for me to understand. I am really happy I joined. I joined so that i can see for myself if TRC could really help me in my journey to financial freedom. I joined col in 2012 because of Bo. I was hesitant to join trc before coz I figured I can add the money in my investment. It is a mistake. After series of gain and loses in the market, my investment still left the same. I joined trc last week. I am so tired of chasing information from different sources which just paralyzed me to make sound decision. I thought why trust bloomberg, ft, reuters and others where in fact someone is here who really cares about my future with good tracks and all (It is Bo). I stopped the mediocrity and now I am confident that I and my family will become millionaires someday. In addition, the GOdwhispers is so amazing. It is giving me a boost of motivation each day. Godwhispers alone is more that so enough to the value of money I am sharing in TRC. I so love love love the Godwhispers. Less than a year ago, I started investing in the stock market following what I have learned and continue to learn from Truly Rich Club. My reason is very simple, I am an OFW and I don't want to retire poor or as in the same situation as when I left the Philippines. I don't have the time required to go into a business which requires full time dedication. Investing in the stock market is the perfect answer. I invest little by little each month and now I worry less about my life in retirement. Sometime in February 2013 as I was in the state of nowhere, so lost and so down.. i guarantee a loan of my bestfriend where she only paid half of the loan, and the other half she can no longer pay and the burden was transferred on my shoulder. The amount was so big that even my salary can't afford to pay it plus the fact that i don't have any savings..i got so depressed that i don't know what to do. i got sick...that every night i always cry and always wish to turn back the hands of time. Since then just to ease the pain, aside from asking for the Lord's guidance I usually surf the net at night looking for words to uplift myself. That time i'm only searching for words to uplift myself,,so much for my desire for more inspirational message i click the link of the TRULY RICH CLUB..without any background what the club is for..i got so amazed when i learned that i will get more than the inspirational message that I expect... I was so thankful for the Lord that He has given me TRC, He gave me not only the message that i need but also the ways on how i can pay the loan that i guarantor. Thank you TRC thru Bro. Bo and the staff for enlightening our minds when it comes to financial literacy. I apply all the things I learn..I've got a step by step direction of what should I do. 1. I was able to increase my cash flow which is the most important thing i learned in TRC, i don't know that i have a talent in selling..after I become a member of TRC I was blessed so much more than i deserve. I'm working as an employee in real estate company and I do real estate selling as my part time job just to have a cash flow aside from my salary...and believe me i was able to close not less than 2 clients a month since I signed as a member in TRC. Every sale i made, i now know where to put every peso i earn..
2. From zero savings i now have an emergency fund which i put on my savings account. 3. My target is to have a six digit portfolio for my stock investment before the end of this year, and I'm so happy to share to you that I was able to make it this October. 4. I put 10% of my income back to our Lord's work, helping others. 5. Most importantly, I was guided in everything i do..
6. As of now, Im still in the process of paying my friend's loan every month, and this is a big charge to my experience. Revenge is not the answer when someone so close to you deceive you..I leave everything to the Lord. I know that He will always be there for me and He will provide everything. I know that He can replace anything that was lost.Nothing is Impossible to HIM. For all the readers i hope you find a lesson on my experience. ... Financial Literacy is very important and again i want to thank this opportunity to thank TRC and Bro. Bo for sharing everything to us..Thank you also to Richard Macalintal for sharing the link..God bless us all! I joined TRC to be financially literate and become financially independent. Above all I believe in TRC's objective to help people uplift their quality of life. TRC had paved a way in building my financial foundation and preparing my future through proper investment vehicle like stock market. I want to be part of the club's advocacy to help others specially my family and friends. Thank very much TRC. I joined TRC because I need a support to help me decide in my investments. my reason in joining the Truly Rich Club is to knowledgeable enough to handle my financial issues, and i believe TRC will provide me a lot of teaching and lesson that i need to know to be successful! Greetings to all TRC members.. I am just a new member at TRC which began when I bought Bro Bo's book on investing in stock market using SAM strategies last January. Upon reading this book I was inspired and instantly motivated to join TRC with the purpose of learning about finances or what is called financial literacy. In my first week as a member, my expectations in becoming a member were surpassed in every way. Being a member at TRC, i learned that it is not only financial literacy they teach, every member are willing to share their knowledge, experiences and advice with regards to money, investing, and the more important life lessons where you can learn and gain insights which you can apply in your own. The members are very supportive particularly maam fely and sir benj, ms joey, ms joana and sir Red (my first friend in my TRC account) :) . Even if these people were already accomplished and successful in their respective fields they find time to reply to the emails, inquiries and questions with much enthusiasm. Even if im a bit afar (im from bicol) from TRC offices and events, every members are so accomodating that gives me a sense that i truly belong to the club. Thanks and more power to all at TRC, im excited to meet all of you when i find time to go to one of the seminars/workshops. Atop of these, the talks of Bro Bo, the ebooks and wealth strategies included in the membership package are so much helpful, inspiring, motivating and life changing in my part. I highly recommend this club to everyone especially those who are in need of financial literacy, of spiritual meaning and of a new and positive outlook in life.. Thanks and God bless to all.